Hold Me, Thrill Me, Kiss Me, Kill Me starts off with a plan (because they always work so well in the Vampire Diaries) created by Stefan (Paul Wesley). They need to convince the heretics to turn on Julian (Todd Lasance) so they can steal blood to un-link Lily (Annie Wersching) and Julian from each other. Right from the start I knew their plan was going to fail. I mean, come on, how often do their plans actually work? So this episode was more about seeing the plan unravel and watching the characters go through their drama. Julian decided to throw a party for Mary Louise and Nora to celebrate their being together for over a century. He gave Mary a fabulous ring so she could propose to her girlfriend in the most beautiful setting ever, and she said yes! Things aren’t so happy, though, when Caroline drops the bomb on Stefan that she’s pregnant. Predictably, he didn’t take it too well. 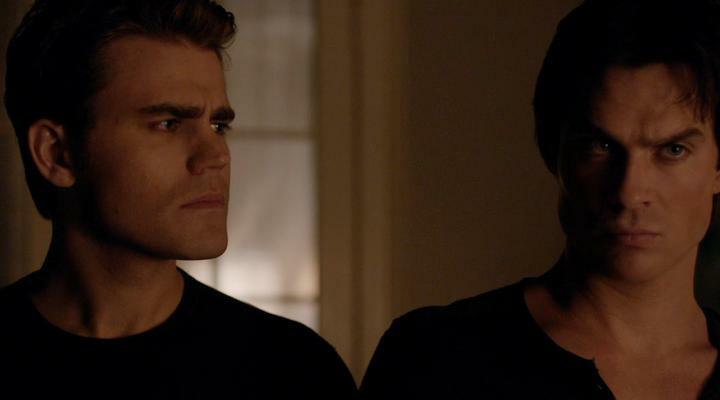 Using the excuse that they have a small window of opportunity to kill off Julian that day, Stefan immediately bails (wow, Stefan…way to be terrible boyfriend material). In the meantime, Lily breaks down and drinks from a human after peer pressure from abusive boyfriend Julian at Mary Louise’s and Nora’s party. Damon (Ian Somerholder) happens to walk in on that very moment and declares, once again, his undying hatred for his mother. Lily finally gets a moment with the heretics and has them listen to Valerie’s story of how Julian killed the baby inside of her. A touching but awkward session of hugging from everyone around is quickly ruined when Mary Louise breaks Julian free from Damon and Valerie’s watch. 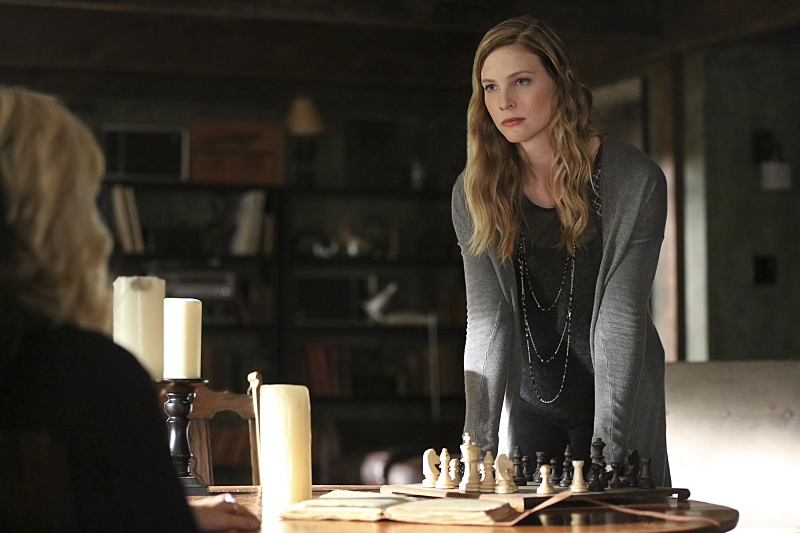 Stefan, unaware that master evil has escaped, calls Caroline to talk. He says, “I love you” for the first time (awwww) and she says it back. All seems right with the world for a moment until Lily is forced to choose who lives between Damon and Valerie by Julian. Refusing to abandon either her biological child or her adoptive child, Lily chooses to stab herself, thinking that she is still linked to Julian. Of course it can’t be that easy. Cold last words to your mother. The most surprising part of this episode, however, was the fact that Matt finally managed to get some help for the vampire problem in Mystic Falls. Who are his new friends? Maybe some left over scientists from Whitmore? Perhaps a ghost from his past? The episode was also laced with flash-forwards that gave the audience hope that Lily would still be alive. But TVD crushed that hope by confirming that she is dead and gone for good. RIP Lily Salvatore and her pathetic excuse for plot development.